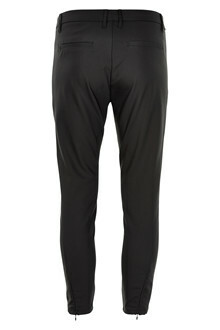 Nice an classic pants in a lovely stretchy quality. 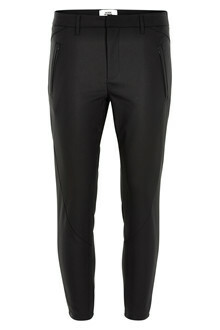 These pants has angled front pockets with zippers, chino backpockets and zippers at the ankles. Very nice with a feminine blouse, a raw t-shirt and leather jacket or a light spring knit.